Superheroes: everybody loves them not just because they can do unbelievable things and save the day, but because they can do it with such élan and poise, that you want to be like them, look like them, talk like them, and even dress like them. The trouble with being such evergreen heroes is that they need to constantly live up to high standards expected of them; be it Iron Man, Captain America, or even the Ninja Turtles. And its up to the people involved in the making of such heroes to ensure that those standards don’t falter. In today’s fickle world, one wrong move, and you are branded a fallen angel, rarely ever returning to that lofty position you once held. 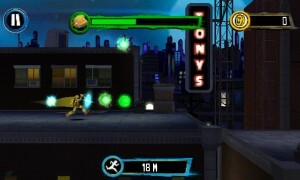 In TMNT: Rooftop Run, MTV Networks have taken everybody’s favorite ninja turtles and made them heroes of an endless runner, which is great, but had they capitalized on the strengths and wit of the characters and incorporated that into game play, Rooftop Run would have been a remarkable runner and the Ninja Turtles would have re-established their place in the minds and hearts of kids and adults alike as the coolest bunch of ninja superhero’s that ever lived. But alas they fail us all by simply capitalizing on the brand that the ninja turtles have become, and trivializing the world’s most loved turtle heroes into insipid creatures who do nothing extraordinary at all, in turn dampening the spirits of every kid who looks up to them. 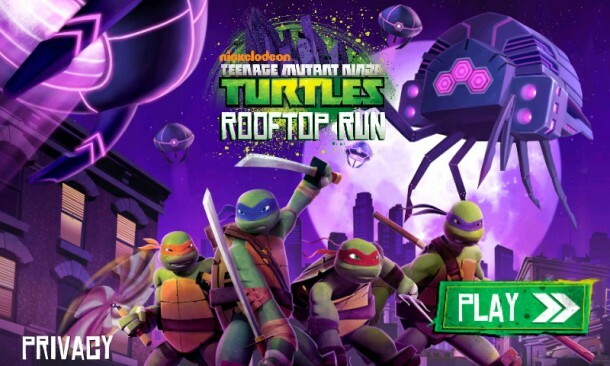 If you’re looking for a good excuse to play Rooftop Run, there isn’t; well except that there’s a Kraang ship hovering over the skies of New York city sending down malicious Foot Ninjas and other mutant aliens on poor unsuspecting New Yorkers, who now have to be rescued by the foursome known as the Teenage Mutant Ninja Turtles. 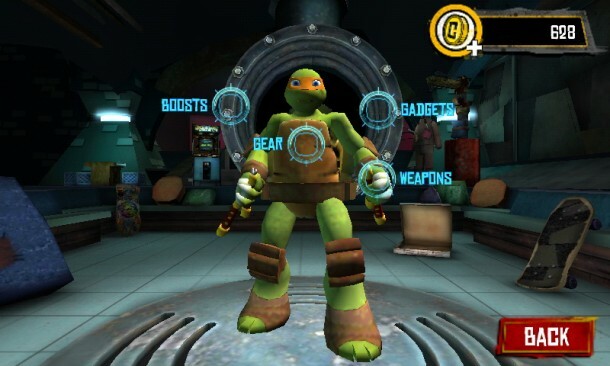 And so enters Leo, Mikey, Donnie, and Raph along with a bunch of extra characters, ready to take on the tough job of keeping the rooftops of New York city mutant free! At the start of the game, you don’t get to play a turtle of your choice, unless you were already thinking Michelangelo! If you’ve set your minds on Leo, Donnie, Raph, Dogpound, or April, shove that thought aside, or just head over to the Store and spend some real world money to pick up sufficient number of coins to unlock them. If you don’t want to pay a pretty penny just settle for the turtle that everybody loves. I did! So now that you’ve settled into your character, you’re off, jumping, double jumping, sliding, and whacking those evil villains who are dropping down endlessly from the Kranng. 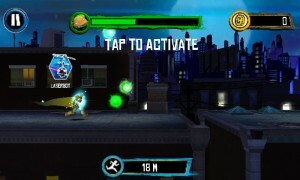 The green meter at the top of the screen is your energy bar. 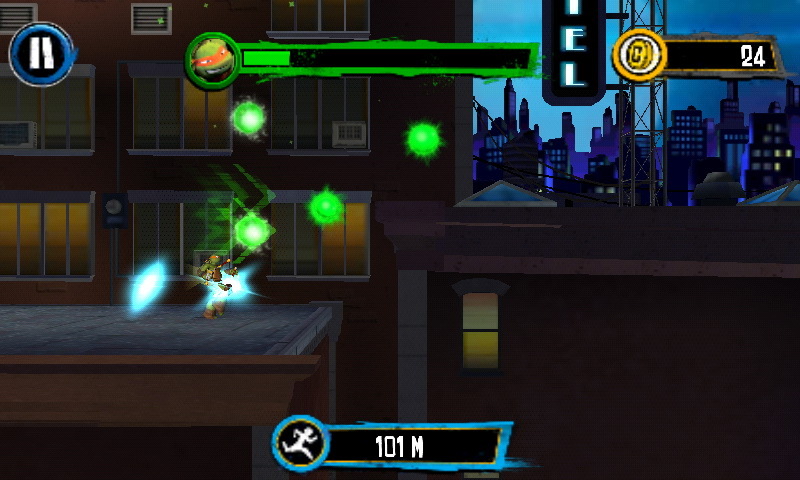 It depletes constantly and the only way to keep it going is to gather up those green shiny orbs you see all over the screen. 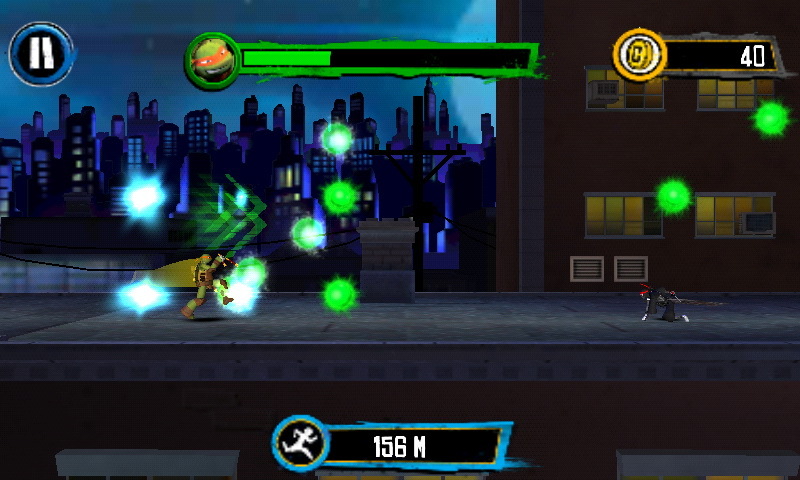 The game’s controls are ridiculously simple, you tap to jump, double tap to double jump, tap near a villain to attack and tap near walls to do something like a wall slide. 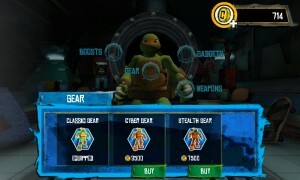 You earn coins when you knock off the bad guys and when you’ve earned just about enough, you can head over to the Store and unlock some interesting weapons, boosts, gadgets, gear, and yeah, some new game characters as well. And that’s pretty much the long and short of it. Enjoying the game so far? Well not really. 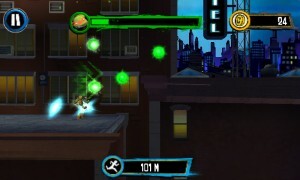 Rooftop Run has the appearance of everything that an endless runner should be like. Plenty of running, boosts, gear, obstacles, energy bars and even a mini game. But somewhere along the line, you realize that you’re not having any fun at all. That ridiculously simple controls I told you about earlier- so not happening. 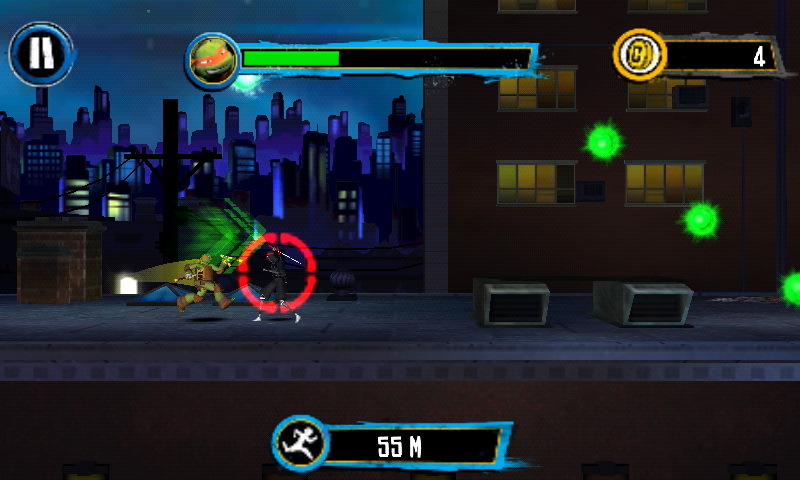 They are haphazard and unpredictable; you tap and instead of simply jumping, you find yourself catapulting right into the enemies’ lap; or double jumping, or even somersaulting. Since there are no unique moves for each action and everything happens only by tapping, the game mechanics go awry and end up playing spoilsport. 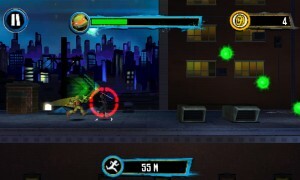 The running, which should ideally be smooth is hopelessly rough and choppy and the dark backgrounds don’t help either. 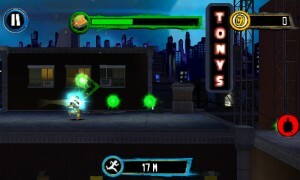 You’ll soon find yourself squinting into your smartphone trying to decide if you are falling onto another rooftop or down the building, while simultaneously trying to grab some green orbs and knock off some foot ninjas. When you do lose your running streak and have to start over again, you’ll be staring at a “loading screen”, which stays on for way too long. 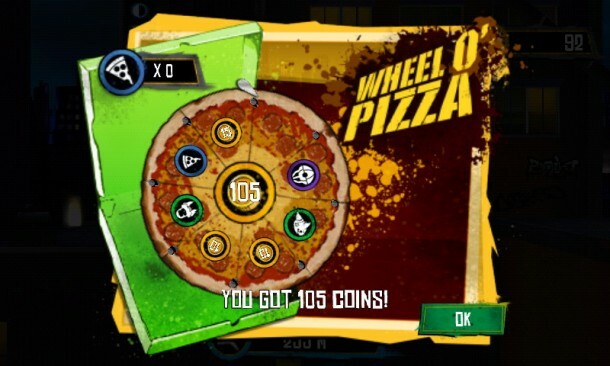 If you aren’t already frustrated with the gameplay and your inability to earn coins as freely as you’d like to , the annoying loading screen will put paid to your patience and ninja love. 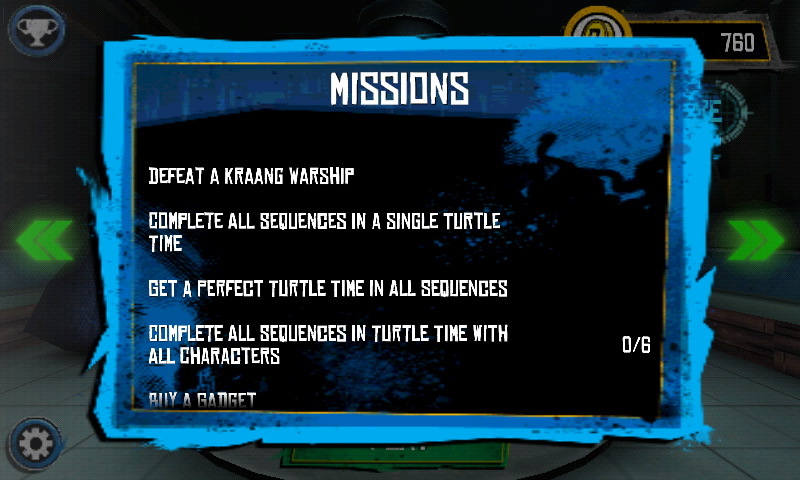 The much hyped Turtle Time ( which comes about when your energy bar hits full green) is not easy to come by either, and when it does, does little to enhance play. In fact, when the session ends you return to normal mode and find it twice as hard to retain your energy bar. And if you expected to find a saving grace, you won’t find it in the game’s graphics and soundtrack, which are just so-so. 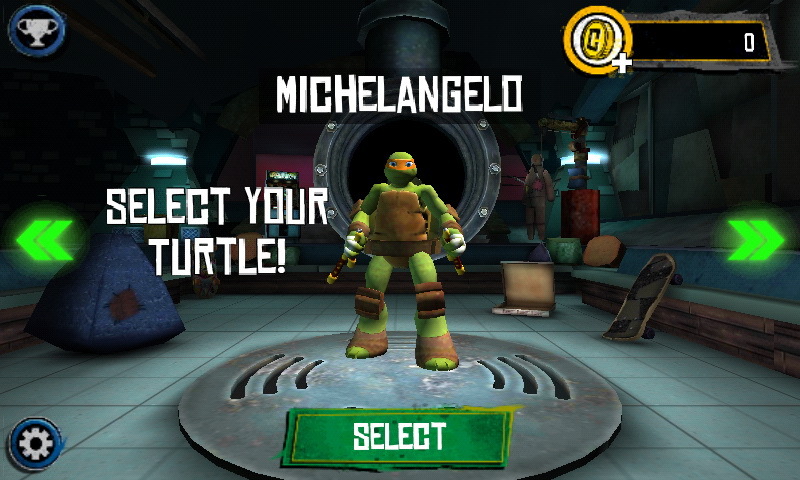 As you can now imagine I‘ve just become a turtle weary player searching for a good reason anyone would want to play this game. The minions in Despicable Me showed far more character and flavor than did the ninja turtles and I can hardly blame them. They just weren’t given enough scope to perform. There were no funny dialogs, no hilarious moments, and yes, sadly, no pizzas either (in the main plot). 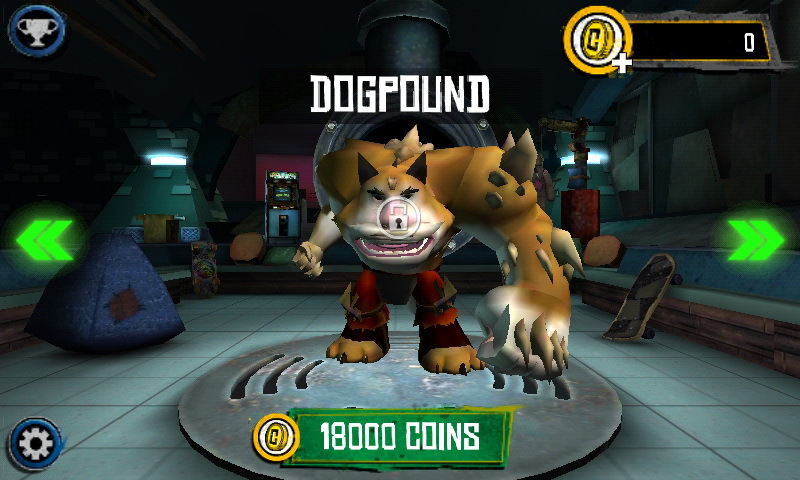 For a whopping $3.99, I can only assume that the developers simply wanted to make hay (nay $$$) at the cost of a brand of well-loved superheroes. 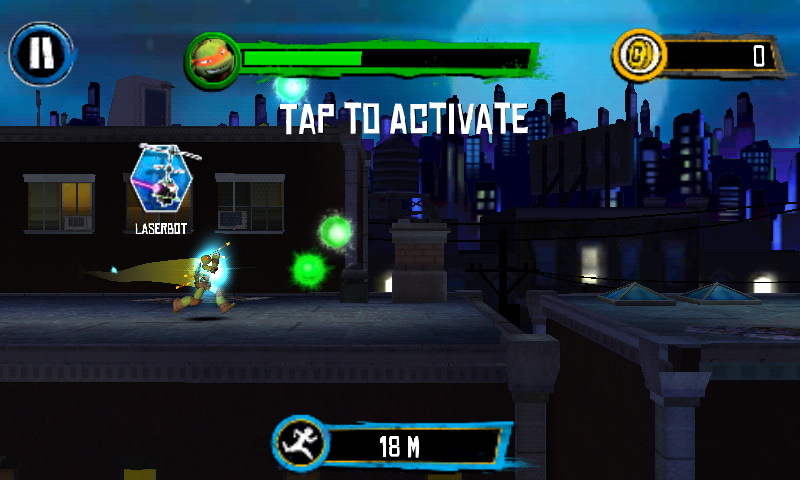 Rooftop Run is nothing but a disappointing excuse of a game and is best left in the Play Store, where it doesn’t even belong.